PARIS, June 16. (ARMS-TASS). Russia's new set of equipment can protect a soldier from any sample of individual small arms consisting of various armed armies in the world. Itar-Tass in an exclusive interview at the salon of arms "Eurosatory 2014" (Eurosatory-2014) reported CRI CEO of Precision Engineering (TSNIITOCHMASH) Dmitry Semizorov. "Outfit 2nd generation on the basis of which was developed set" Warrior ", provides protection serviceman corresponding class 6a on domestic GOST - said Semizorov. - This means that to date, no small arms that could pierce it. Apart this, we were able to achieve greater area Ballistic protection to 80 percent of the area of ​​the entire set. " According Semizorova, weight set is relatively small and does not exceed 24 kg. "This is - a unique indicator that foreign counterparts can not reach," - said the CEO. Particular attention is paid Semizorov protective helmet that came with. "Weighing just one kilogram of it (helmet - approx. 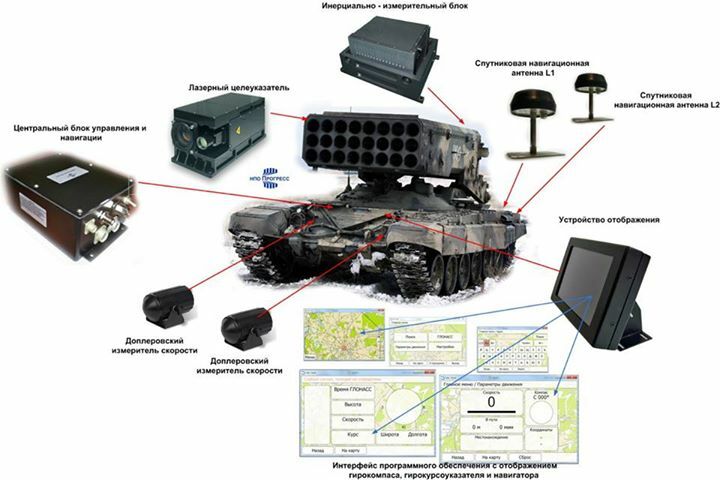 Itar-Tass) maintains high performance, which have no foreign counterparts", - informed the CEO. Set of modernized equipment serviceman 2nd generation is modular and can be easily adapted to the needs of various military specialties. "In addition to motorized infantry units, it can be used as airborne troops and marines," - said Semizorov. The Director General said that by the end of this year will be finalized serial production of the new kit. "As we look forward to the end of 2014 and organized its first deliveries," - said General Director TSNIITOCHMASH. According to him, in the near future will be decided to organize supplies and resolved issues of cooperation with other companies. The ZBD-97/04 family is known (well, open secret) to have been designed for China by Kurganmash, and the fighting module was obviously Baxcha. An early Kurganets if you will. This new thing looks like a further development. TR1 wrote: The ZBD-97/04 family is known (well, open secret) to have been designed for China by Kurganmash, and the fighting module was obviously Baxcha. Yes, I've heard of that but I thought it was just a rumor. BTW why do you think there's so much secrecy between Russia and China in military technical cooperation? Is it because they don't want to offend India? yeah, and the back door is really thin. Also the turret is too massive, the russkies would prolly use an unmanned turret to shave off a ton or two of metal and put that in the hull. Keep in mind that is a mortar carrier and is for export. 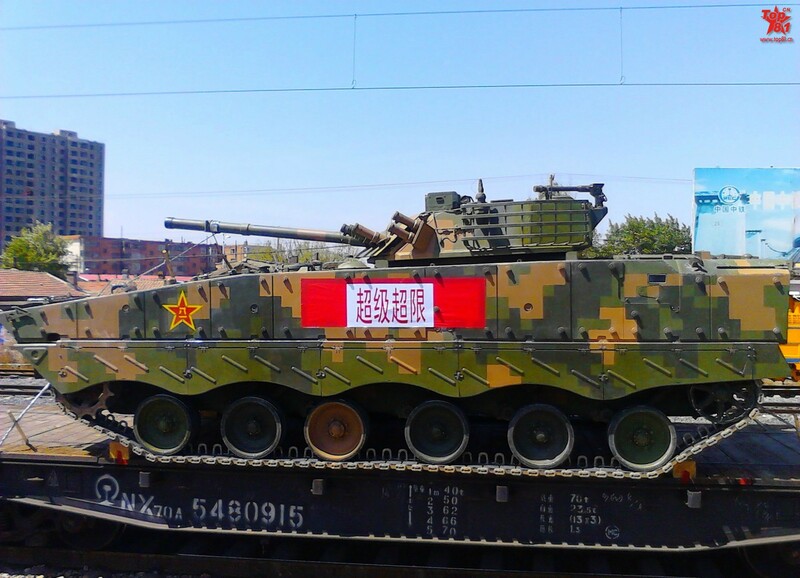 Chiniese vehicles seems like older BMP with different (larger) hulls and some tweaks like better chassis may be or modern sights. I want to hear news on the ARMATA already I hate how all the cool stuff start coming after I leave service maybe I just might go back how much "KURGANETS" will be made and when will they start production. In my service we were stuck with BMD-2s and rarely BMD-3s they all ways gave us the old stuff I guess they wanted us to finally finish their service life in fact one officer told us as a joke (or perhaps he meant it) to start crashing all the vehicles so we can order some new ones, VDV has great equipment but we have some stuff that we need to change really fast. The BMDs are scary to sit in knowing a guy with a armor piercing sniper or machine gun will tear us apart sitting on top is way better I feel bad that the army has to resort to sitting on top of APC's and IFV's. I know this is not related to anything here but in 2008 we were stationed on high alert I was so excited to go to Georgia maybe get a chance to kill some NATO scum bags or at least wanna be NATO scum bags but all my dreams were crushed. I am currently in reserve and I am waiting to be called to Ukraine and teach those ****ers a lesson. I just wanted to share this here because I am bored and want to hear new stuff about equipment. You should wait 'till 2015. 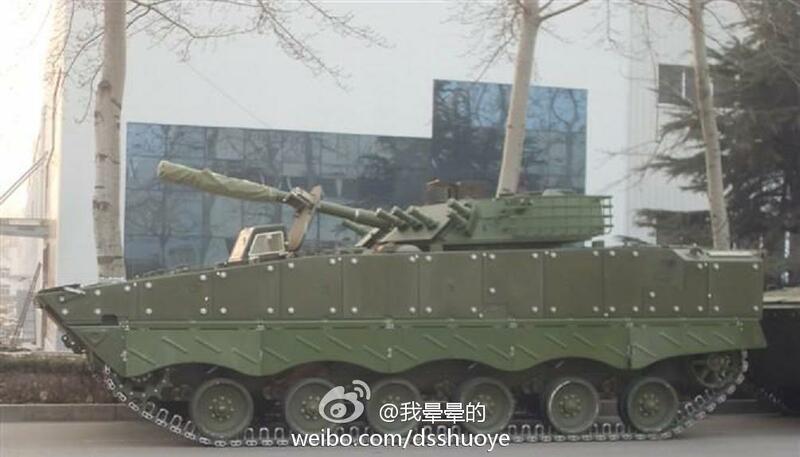 But VDV already get their BMD-4M (for testing right now). And you should sign a contract if you want to go to Ukraine. I don't think it will be a matter for mobilisation. Btw didn't you serve at Pskov? GarryB we can always give it to you and say it was stolen by bandits but I'm sure my unit got reequipped with modernized vehicles I miss my unit and I think I might sign another contract if that is possible this time hopefully I can stay in Tula I hear they made that place heaven now with new equipment and vehicles. Will the Kurganets be airlift-able? Will the Kurganets be airlift-able? So VDV will not be able to get kurganets but its whatever as long as the army gets it. It's very interesting. I wait for more. A bit old, but I like it. Especially "Legioneer"
Bastion variants depending on launch platform: BMP-3, T-62, T-55, M-12, and the naked round. 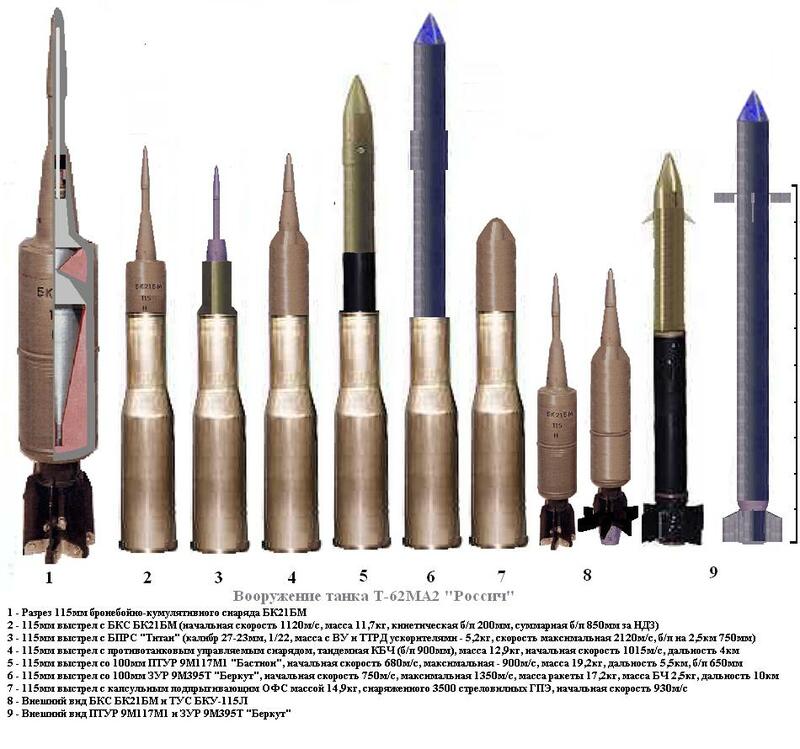 No 6 and No 9 show the gun-launched surface-to-air missile 9M395T, Berkut. No 3 depicting Titan is interesting too. No 4 and No 8 shows a guided round. This 9M395T gun launched SAM is very interesting and could improve capabilities of BMP-3 and BMD-4 vehicles, specially as they have higher elevation of gun than tank and with that missile is more useful. I don't know, what type of guidance this missile will have, laser guidance or IR, but anyway they have to improve FCS, that they could use this missile anytime in full distance. 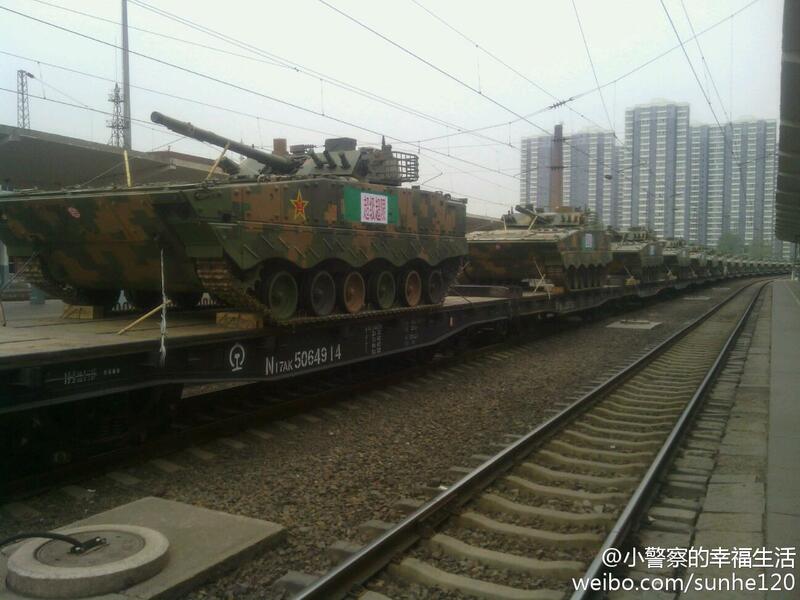 With today BMP-3 FCS, they could be used only in daytime. 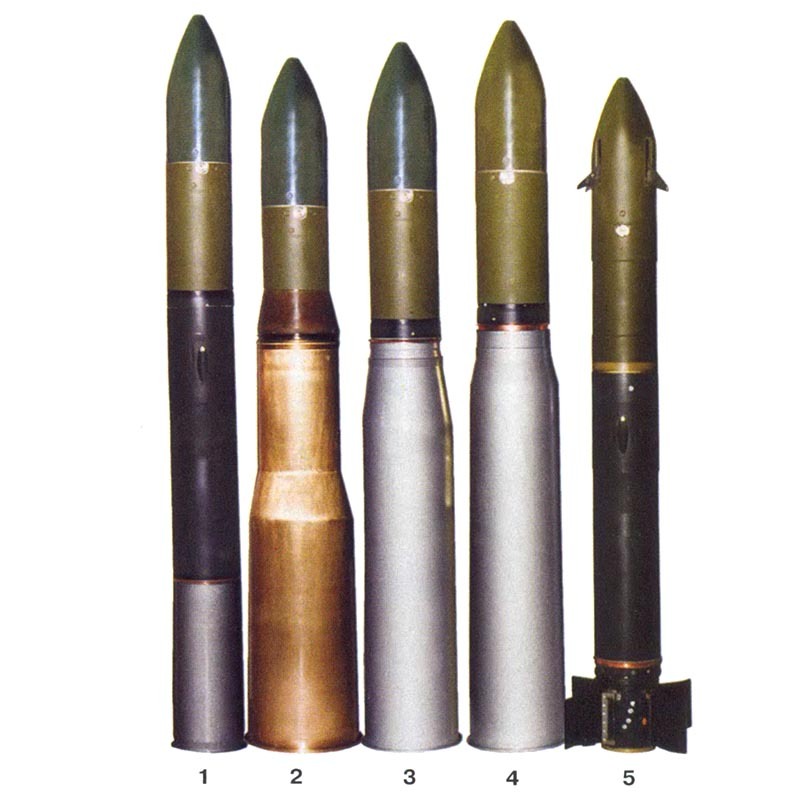 Can tell by the shell cases those are T-62 115mm rounds, not 125mm rounds which are two piece. Also I would say just by looking at it 5 is Bastion and therefore 9 is both Titan and Bastion outside the shell case (ie fired... in flight). Number 4 and 8 are not guided... they look like standard HEAT rounds. Interesting also that Berkut and Bastion are 100mm calibre weapons suggesting they were designed to be compatible with 100mm guns too.